Former beauty queen, Uchee Sandra Okagbue was a willing participant in an lovely makeup session. 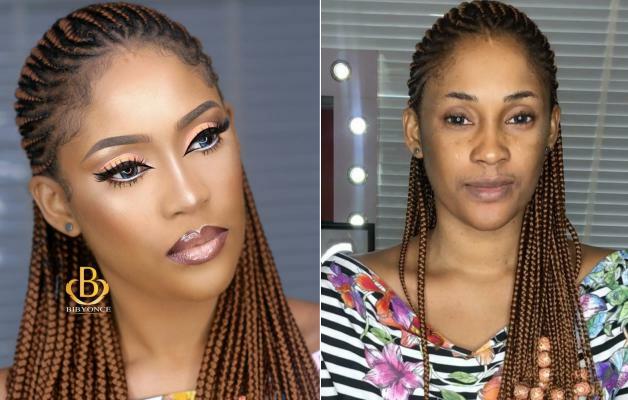 Celebrity makeup artist, Bibyonce did an amazing transformation of Flavor’s first baby mama from a casual girl next door look to a super fierce lady. The Delta soap queen’s facial hair was barely visible in the aftermath of the makeup. Sandra was casually dressed in a colorful off the shoulder top as she styled her hair in blond braids.